Our November K-2 Book Adventure was a “Mo Willems Author Celebration.” One of the easiest and most fun ones yet. 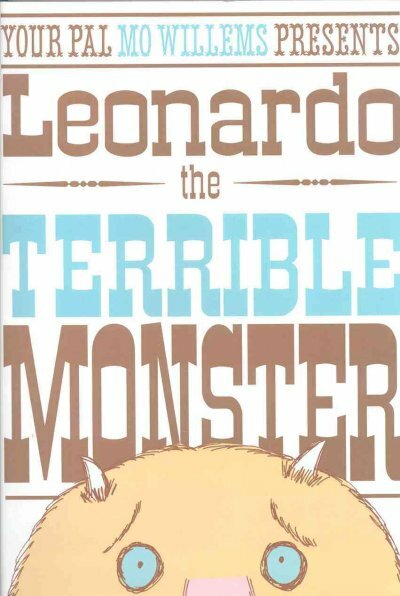 He has a ton of stories that are great for large groups, award-winning videos, and a website with interesting author facts, silly dances, and a cool handout! “Mo Looks Like This” (plenty of silly photos on the website); “Mo Wins Medals,” talking about his Caldecott,(illustrator); Giesel (author/illustrator); and Carnegie (filmmaker) honors; “Mo Draws on His Walls” featured photos of the butcher paper and chalkboard drawings from his home, with work by family and visitors as well; and “Mo Worked for a TV Show” with a slide of Sesame Street. As far as stories, there were so many to choose from. 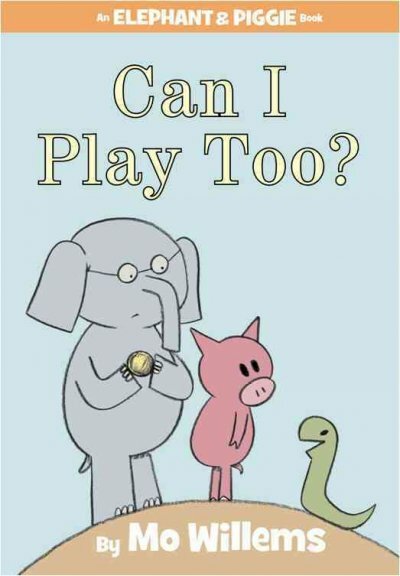 We started with an “Elephant and Piggie”: Watch Me Throw the Ball, which Brad and I had done for Family Storytime before. Sheila (Piggie) and Terri (Elephant) had way too good of a time winding up for the big throws. 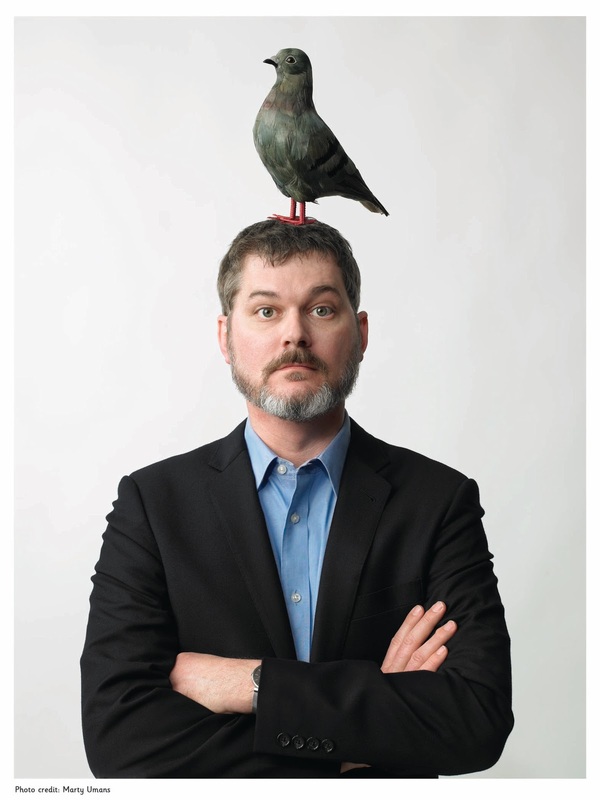 Next up was Don’t Let the Pigeon Drive the Bus, which if you’re doing a Mo Willems program you kind of have to do. Like a Lynyrd Skynyrd cover band has to play “Free Bird” every time. Details on our telling are here. My favorite part of the program was City Dog, Country Frog. Details about why I liked it and how we did it are here. We always need something towards the end of these programs to get the kids up and moving, and fortunately Mo’s website provided that too. We linked to the Elephant and Piggie Dance Game. The page asks you to pick three dances for each character and then plays them back, with animated E & P demonstrating the steps. We just told the kids to follow either or both and have fun. We ran it twice and that seemed just right. If this blog entry is going on too long and you need a quick exercise break, the "Funky Trunky" and "Twist and Snout" might be just the thing. 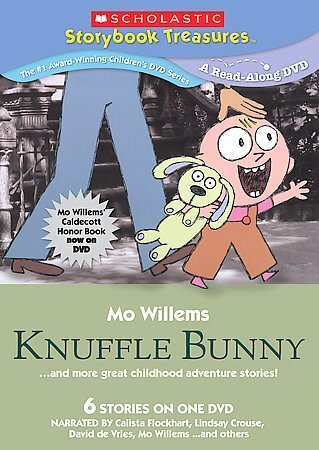 As a finisher, we showed the Carnegie winning DVD of Knuffle Bunny. This was the first time we did a straight video for this program, but it fit just right since we had already highlighted his awards. It’s just such a perfect video from the introduction (a perfect model of Dialogic Reading) to the voices of Mo, daughter Trixie, and wife Cher. Here’s a clip that shows the first half of the movie. After that nice ending, we gave out Pigeon Door Hangers and let kids check out books. Which they did! We always get lots of checkouts at our K-2 events, but this time they nearly cleared us out. As always, we visited schools to promote the program the day before. This gave us a chance to do another “Elephant and Piggie” story, since we had such a hard time limiting ourselves to one during the program. We acted out Can I Play, Too with all three of us: I was Elephant, Sheila was Piggie, and Terri was Snake (with a green scarf wrapped around her arms). Again, we used Mo’s words, threw a bunch of balls to Snake (who couldn’t catch them of course), then finally played catch “with” Snake, throwing Terri back and forth between us (well, pretending to throw her, while she flailed about as if being tossed through the air, which you kind of have to see to get, but she made it work! ).